Where there's a will, there's a way and with the Womens Wilderness Texapore Mid Boot from Jack Wolfskin you'll find it–trail or no trail. 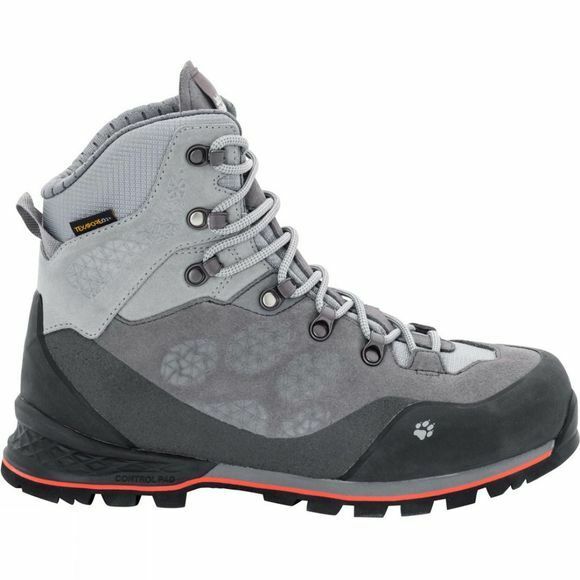 This premium off-trail trekking boot was developed in collaboration with the mountain guides at the Alpine School Innsbruck. Although very light, it has everything you need in a trekking boot: a high, sturdy upper, durable materials, surefootedness and a precision fit to prevent blisters (plenty of space at the front, snug fit at the heel). 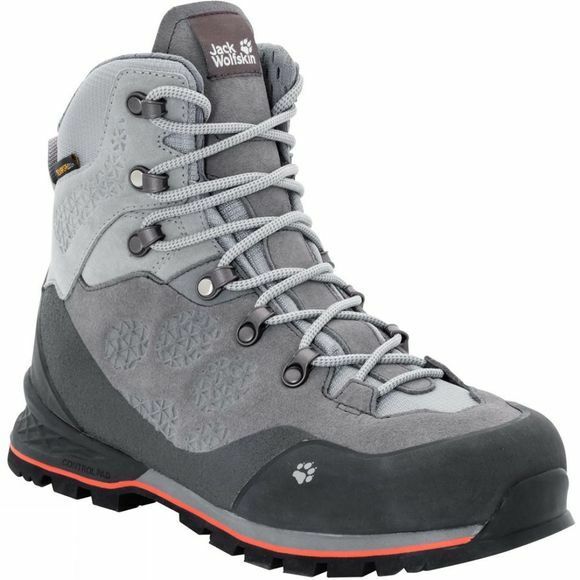 The ASI mountain guides also liked the fact this premium trekking boot has not one, but two lace locking positions, very good grip even on steep terrain, good support for via ferratas and an abrasion resistant rand all the way round that protects the upper.